Features 4 different reading levels, plus a wordless version. This book takes you hour by hour as everyone tries to get the groundhog out of bed. This cut-and-paste groundhog art project will provide your students with opportunities to improve their fine motor dexterity and their ability to follow directions. This 31 page unit contains activities to go with a Groundhog Unit. 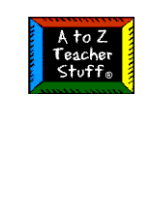 Included is a class book, decodable reader, poems, literacy centers, math centers, and writing activities. Photos of several activities and a printable book: Wake Up, Groundhog. These crafts projects are for preschool, kindergarten and elementary school children. The crafts use inexpensive materials found around the house, like egg cartons, cardboard, paper, boxes, string, crayons, paint, glue, etc. Includes pop-up groundhog, groundhog mask, and several printable worksheets. Find 7 free printable worksheets and activities for Groundhog Day. A handful of groundhog coloring pages. LOTS of original poems with tunes by Don Halley–who must be a very funny & creative guy! Unfortunately his original website is now gone, but we were able to find it on archive.org! A few songs and poems for Groundhog Day. Another site now gone, but found on archive.org. A nice collection of poems and songs for kids.